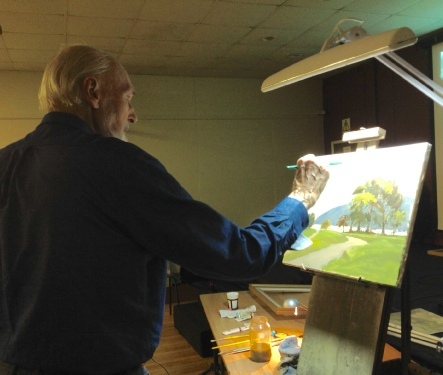 This evening’s guest artist was Barry Watkin, who demonstrated a landscape in oils. Barry has had many years of experience with oils and shared his skill and techniques. 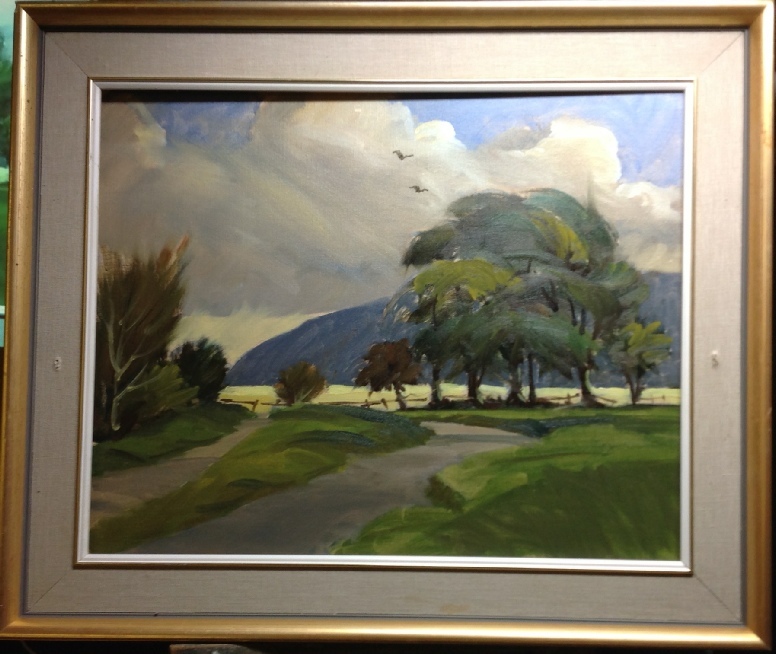 His love of the countryside is reflected in his picture, rendering of light and mood. We were privileged to see this demo, as Barry will be retiring soon.